International Women’s Day was celebrated Friday afternoon at an informal reception held at the Firm. Oblon recognized the valuable contributions of all “the women of Oblon” and the knowledge and expertise they bring to the Firm’s successes every day. This year’s theme of International Women’s Day is “#Balance for Better”. 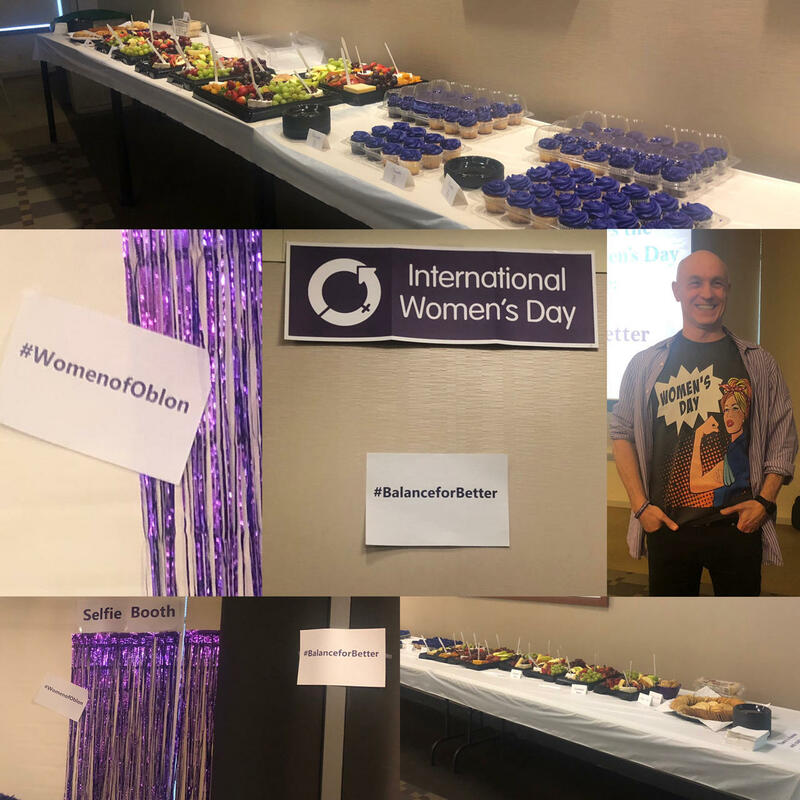 Given the firm’s interest to support the International Women’s Day ideals to promote social, economic, cultural and political achievements of women, Oblon has responded to the call for action in a way we believe will be meaningful and impactful. The Management Committee established a $3000 annual scholarship award program that centers around the IWD tenets as expressed through the organization’s annual themes. While the details are still being ironed out with respect to eligibility and process, the intention is to sponsor an annual essay contest tied to the International Women’s Day yearly theme. Essays would be judged considering how the applicants interpret and discuss the current theme’s meaning, implication and/or connection with their own life, circumstances or something else that is meaningfully related. The winners of this award based upon the 2019 theme will be announced at Oblon’s 2020 Celebration of International Women’s Day.